This is the presentation given by the Quebec Anglophone History Network when honouring my father in 2004. In sailors’ songs and rousing tale. Kenneth Hugh Annett deserves a special place in the hearts of many Gaspesians as the premier keeper and communicator of our history for many, many years. Born on August 18, 1914, Ken’s parents were Percy Annett and Mary Brien of L’Anse aux Cousins. He was brought up and educated there until he attended NewCarlisleHigh School, followed by post-secondary studies at MacDonaldCollege where Ken received his teaching certificate. He returned to the Gaspé to teach at GaspéIntermediateSchool. Ken then attended Bishop’s University where he got an Honours degree. Again, he returned to the Gaspé to teach at EscuminacIntermediateSchool. He eventually became the Principal there, but left the position to serve in the Royal Canadian Air Force in World War II. After training in Radar at McGillUniversity and RAF Clinton he was on active service until 1945. After the war, he married Velma Law of New Carlisle, daughter of Bert Law and Mabel Imhoff, and the couple went to live in the Eastern Townships where they raised three sons: Christopher, Richard and Andrew. Each summer the family returned to Gaspesia and the homes of grandparents in New Carlisle and Gaspé. 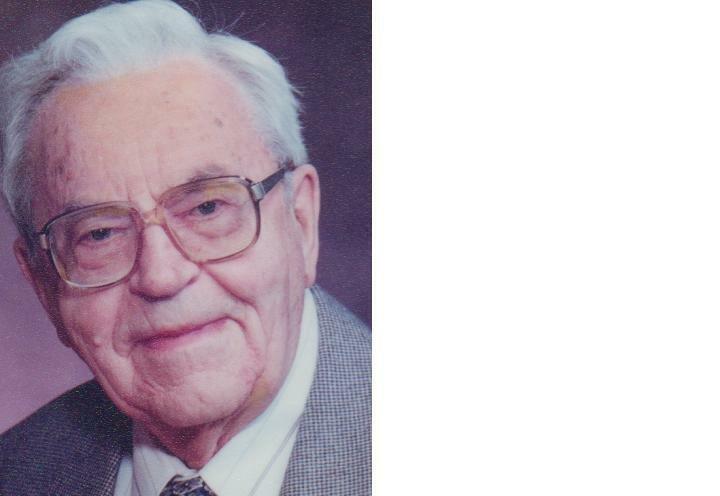 During his seventeen years in Eastern Townships, Ken served as a senior teach, pioneer guidance counselor and finally as supervisor of schools for the Central School Board of Richmond-Drummond-Arthabaska. He was active in regional and provincial associations of teachers teams, and was chief instructor of army cadets both for the local Corps and at annual Summer Camps. He was a Captain in the Cadet Services of Canada and was awarded a Canada Decoration (C.D.) At this time, Ken did post-graduate work in Education at Colombia, Harvard and Bishop’s Universities, and became an Inspector of Protestant Schools for the Quebec Department of Education. It was in 1962 that Ken’s career in the Ministry of Education began, and he, Velma and the boys moved to Ste-Foy where he and Velma still live. Ken first took the position of Associate Director of the Guidance Bureau, and was a founding member of the Canadian Guidance and Counseling Association. In 1966, he was appointed Assistant Director General of the Elementary and Secondary Education Branch of the Ministry, and as such helped lay the foundations of the present school system. It was at this point that Ken received the Order of Scholastic Merit, and many other honours have been showered upon him, including an Honourary Life Membership in the Alumni of New Carlisle High School, and a Fellowship in the CanadianCollege of Teachers. He retired in 1979. Ken’s interest in history has led him to membership in the Huguenot Society of Canada, the Literary and Historical Society of Quebec and the Quebec Family History Society. He has served as the convener of the Richmond Trust Awards Committee and as a member of the Strathcona Trust. He is perhaps best known to the readers of SPEC for his countless hours of research which produced the series Gaspé of Yesterday. Composed of over 400 articles on aspects of Gaspesian Heritage, Gaspé of Yesterday reflects the historic time-frame of five centuries of Anglophone Gaspesian History, taking into account the influence of vast and varied physical space on the human experience. SPEC received a copy of each article, as completed, and has published some 190 of them in the period 1977-1995. CBC Radio’s “Quebec A.M.” has broadcast 70 topics of the series. The bound volumes can be consulted at the Gaspesian British Heritage Centre, the Gaspé Community Library, the Literary and Historical Society of Québec, the Bishop’s University Library, the Archives of the Anglican Diocese of Quebec and the Archives nationales du Québec. Ken has also written the Annett Family of Gaspé Saga I and Saga II and the Huguenot Influence in Quebec, which includes 40 studies on that theme. He also contributed to Huguenot Trails, which is the publication of the Huguenot Society and Connections, the journal of the Quebec Family History Society. He has collaborated with Guy W. Richard of La Société généalogique de Québec on a number of projects.